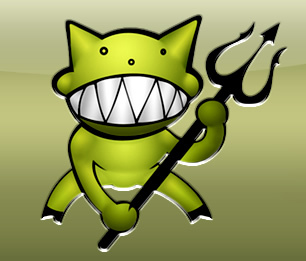 Demonoid, the Internet's largest combined BitTorrent site and tracker, has been shutdown in one of the biggest BitTorrent-related busts in recent times, according to TorrentFreak. ColoCall, the Ukrainian datacenter who hosts Demonoid, was forced to relinquish Demonoid's data to local authorities and terminate service for the site. Just prior to the bust, the semi-private tracker and site had essentially been inoperative for more than a week due a massive DDoS attack. Demonoid's admin recently confirmed the site had been hacked in addition to the DDoS attack, but vowed the site would be brought back to life despite recent difficulties. He admitted though, it may take awhile to address the site's underlying issues. Unfortunately for Demonoid, local authorities may make the site's brief intermission a permanent one. The timing is interesting; and not just due to the concurrency of the DDoS, hacking and investigation, but because of recent political events as well. TorrentFreak points out that the bust happens to coincide with the very first trip taken to the United States by Ukraine's newly appointed First Vice Prime Minister, Valeriy Khoroshkovsky. Curiously, while he visits the U.S., Khoroshkovsky will be discussing a very familiar topic: International copyright infringement. The First Vice Prime Minister’s visit follows a purported promise by the Ukrainian government to step up International copyright protection. With that and the timing of events in mind, TorrentFreak's sources theorize that Demonoid may have actually been a Ukrainian "gift" to show the U.S. that the country is serious about protecting intellectual property.